Genuine Paperglitz handmade flocked paper. 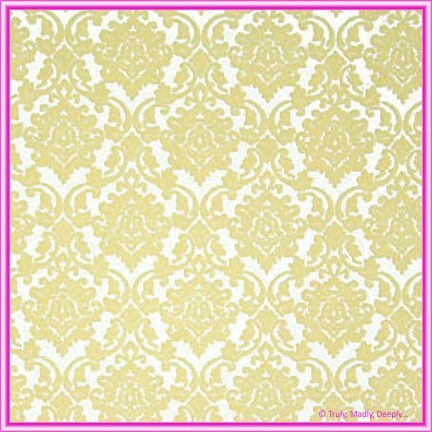 Features a 100% recycled cotton base paper (tree free) with a metallic pearl white coating and a gorgeous raised Damask pattern in cream nylon flocking - giving it that wonderful velvet feel. Flocked design is one side only. Matches beautifully with Crystal Perle Arctic White or Diamond White papers and cards. Handmade flocked papers may see minor variations in the depth/intensity of the flocked patterns between different sheets/batches. This variation is very minor and is normal for handmade papers. This is Genuine Paperglitz Paper - not a cheap Chinese copy.